Bikes are cool! 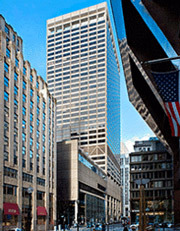 My role as an office broker in the CBD of Boston is really that as an ambassador, historian, tour guide and advocate. How we traverse our city has changed since I moved back to Boston in 1993. Cars, buses, light rail, commuter rail and boats are very much the same as they were then, but what is different is bikes. We now have Hubway stations that rent bikes all over our city in areas ranging Black Falcon Terminal to 28 State Street. 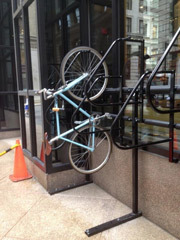 Additionally, office building owners are creating bike rack space inside and outside to accommodate the commuters that ride their own bikes. The city of Boston needs to embrace this and continue to promote and provide safe areas for all forms of commuters and visitors. 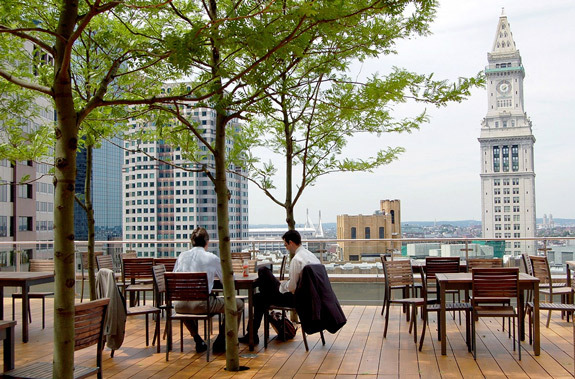 Boston is in the midst of a dramatic change of how we live, work and play within the city. The daytime and bedtime population is growing and the demand for services is far different than it was 20 years ago, but what hasn’t changed is how much we love our city and appreciate the history and culture that exists here. We are Boston and we love the quirks that makes this home. Not all historic features and structures merit preserving, but some do. I am sure that prior to filling of what is now Back Bay was very controversial in 1857 when gravel and fill started arriving from Needham at a rate of twenty-five 35-car trains arrived every 24 hours. 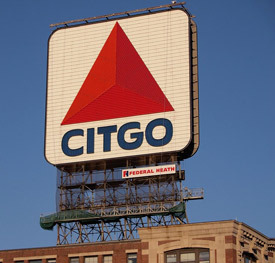 You can read more on the status of the Citgo sign on Boston Magazine. 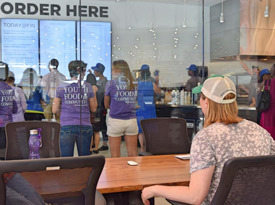 Ayr Muir, the founder and CEO of Clover wants to be in the middle if it all, choosing to put his office in the center of the flagship location at 160 Federal Street in the Financial District of Boston. You can read more on Clover’s flagship location, here. 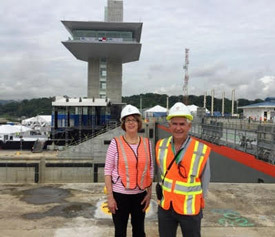 Boston’s maritime operations will expand thanks in part to the expansion of the Panama Canal. 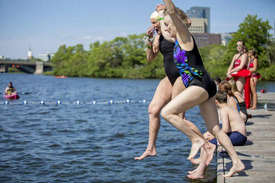 The Port of Boston is already benefitting from the expanded Canal. COSCO—China Ocean Shipping Company—is a longtime partner of the Port of Boston; the company recently committed to doubling the capacity of their ships calling on Boston from China. This will enable Massport’s Conley Terminal—the only full-service container terminal in New England—to handle significantly more volume. This translates into jobs and positive economic impact. Established in 1852, the Boston Public Library is scheduled to open its newly renovated streetscape, Café and radio studio. The library’s central branch this Saturday will unveil the second phase of its $78 million renovation of the Johnson Building, which opened at 700 Boylston St. in 1972. 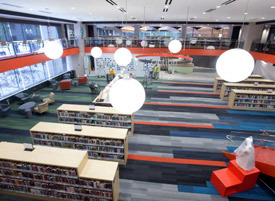 The renovation’s first phase, which included a new children’s library, teen central and reference space, debuted last year. The color scheme of the new sections primarily features blues, greens and a red-orange color aptly named “tawny daylily,” which were inspired by the John Singer Sargent murals at the McKim Building. Looking for hi-speed internet access in Boston and hoping to compare two providers? Well you can now Google it, and then hire Google. Google Fiber agreed to acquire a company called Webpass, an internet service provider based in San Francisco that already serves Boston, Miami and Chicago, among other cities. ..Webpass, which offers residential internet service for $60 per month, says it has tens of thousands of customers across five major markets in the U.S. Google’s service is $70 per month, according to its website. 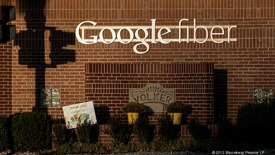 Google Fiber, a subsidiary of parent company Alphabet offers internet speeds of up to 1,000 megabits per second. It already serves cities such as Kansas City, Nashville, Atlanta and Austin. By comparison, Verizon FiOs offers internet speeds of up to 500 megabits per second.